New LP Stones, Keys, Flat Ninths, & Salvage available 10/19/18 from Booplet Records! 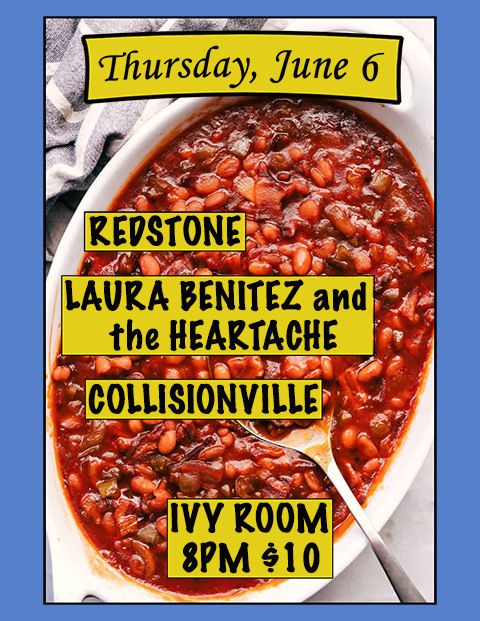 Thursday, June 6, 8PM: The Ivy Room with Redstone and Laura Benitez and the Heartache. Advance tickets for $8 available here, $10 day of show. Collisionville plays first. Collisionville is a San Francisco Bay Area all-original rock band featuring Stephen Pride on guitar, banjo, harmonica, & vocals; Conor Thompson on bass and vocals; Cory Snavely on drums; and for our acoustic shows, Matt Campana on guitar and vocals. Click here for our press kit.